Throughout Glass' gradual expansion to more and more Explorers, there's been a lot of talk about using the device professionally in demanding environments, particularly healthcare (and firefighting). 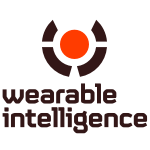 Wearable Intelligence is a company looking to tackle the former, along with energy industries, by building firmware for Glass that replaces its usual Android installation with one customized to fit the needs of those industries. Wearable Intelligence says its healthcare solution is HIPAA compliant, and from their promotional video, it looks undoubtedly impressive. WI's solution is currently being tested by Beth Israel where Dr. Steve Hong says it has already saved at least one life, giving him the ability to view allergy information for a patient suffering massive brain bleeding without using his hands or even looking away from the patient. The company's energy solution is in testing with Schlumberger, a multinational energy company using 30 pairs of Glass to ensure safety and task completion. Wearable Intelligence CEO Yan-David Erlich believes Glass could help in many industries where workplace procedures, remote assistance, and context-aware alerts would be useful, and says the company will eventually expand to other wearables. Even if you aren't a fan of Google Glass being worn in everyday life, there's no denying these uses have serious potential. In a post to Google+, the Glass team also notes that the Washington Capitals have partnered with another firm, APX Labs, to create a new fan experience with real time stats and other relevant info. Google invites those developing Glass software for their business to reach out for collaboration through Glass at Work.